Perfect for creating private Membership, Association, or Group sites for any industry! 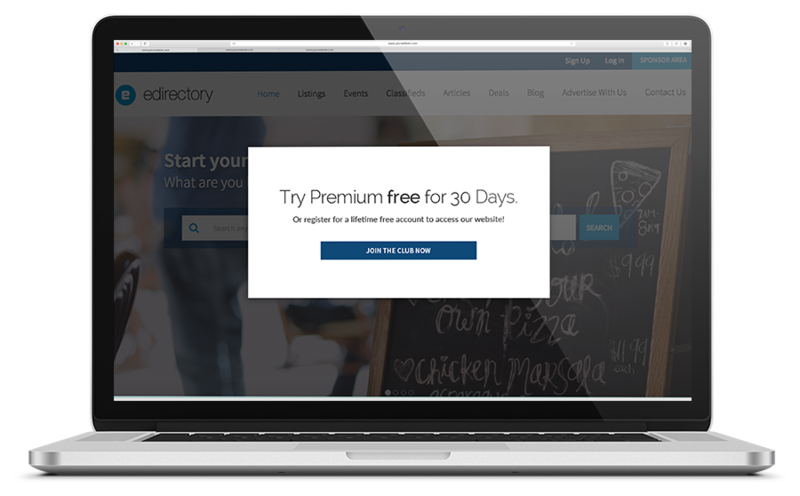 An online community can now be created within your eDirectory that restricts visitors from accessing or viewing the content of your members without first registering to the site or reaching out to the directory owner to learn more about joining. Visitors will see a lightbox appear on the homepage with a canned response that invites them to sign up to one of the paid or free membership levels or contact the owner for more information about becoming a part of your online community. Ideal for private groups based on any industry, issue awareness, personal interest, political affiliation, education, or professional learning and development.